Exclusive – Domain Holdings, a domain development, marketing, and technology company based in Florida, has raised $2.9 million in funding from Valhalla Partners, WWC Capital, BrokersWeb founder and CEO Matias De Tezanos and other angel investors. In addition, the company has debuted DomainPower, a domain development platform that springs from its predecessor Rapid Domain Builder, which was launched in November 2010. 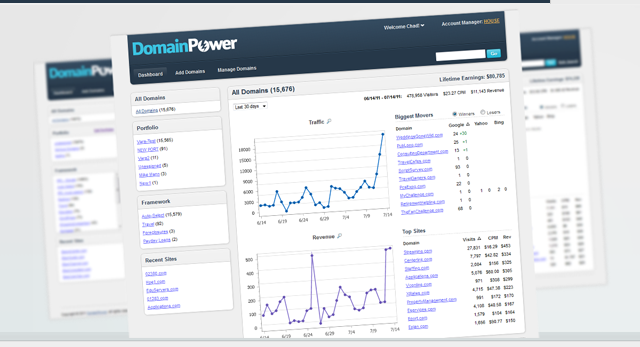 DomainPower is essentially a turnkey solution for domain name owners, offering vertical-specific frameworks for the quick – and centralized – creation of SEO-friendly websites, site enhancement plug-ins and various revenue opportunities, on a rev-share basis. The additional capital will be used to boost technical development of the DomainPower platform, including research and development of new revenue models for site users. Domain Holdings was co-founded by Chad Folkening, a longtime domain industry veteran, and John Ferber, co-founder of Advertising.com, which was acquired by AOL for $496 million in 2004.